Following on from the leaked images of Sony’s new NEX-5R mirror less camera last week. Sony has now officially announced their new camera, at the IFA consumer electronics trade show in Berlin this week. The Sony NEX-5R is equipped with a 16.1 Exmor APS HD CMOS sensor, and uses Sony’s new “Fast Hybrid AF” autofocus technology, together with the ability to run Sony’s new PlayMemories Camera Apps. Fast Hybrid AF autofocus feature has been designed to use 99 phase-detection AF points arrayed on the camera’s image sensor to detect the targeted subject’s distance, quickly locking focus on it, by combining both phase and contrast detection. The NEX-5R is Sony’s first camera to be equipped with integrated Wi-Fi connectivity and interchangeable lenses. Allowing you to easily share your photographs via popular social networks. 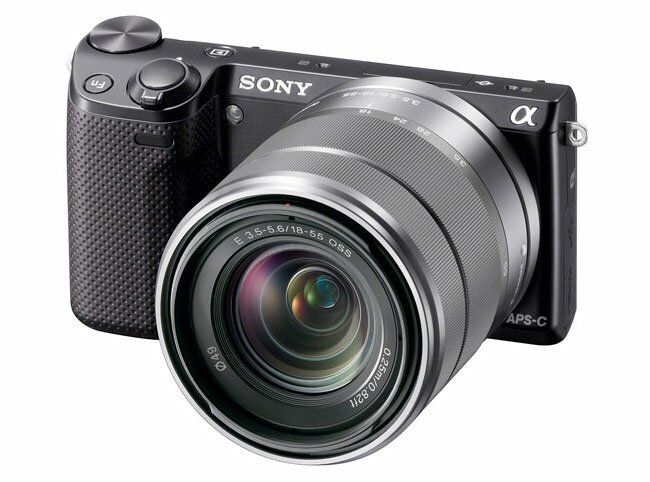 The Sony NEX-5R will be arriving in stores during October and will be available in either white, silver or black and will retail for around $750 with a 55mm lens or for $650 for the body only bundle.